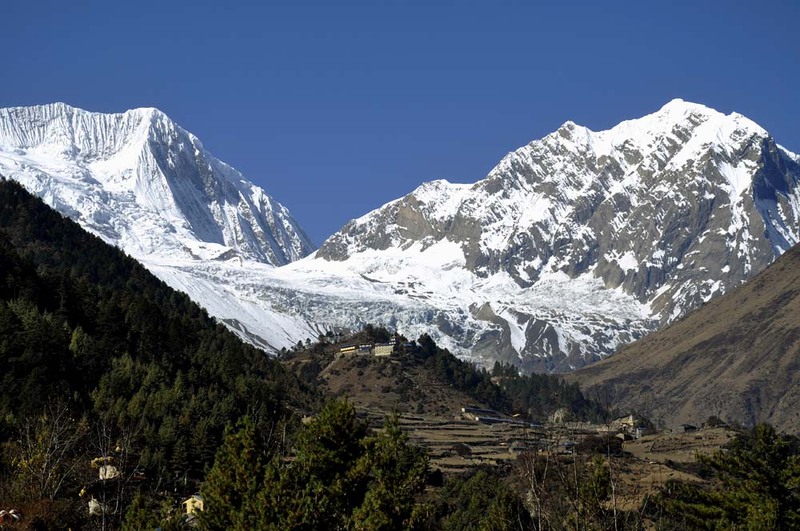 Trekking Manaslu Circuit is an original experience of discovering the unknown from the known. What is more is we hike trails with fewer trekkers in a far flung region that is virtually untouched; giving us a sense of true Himalayan wilderness. 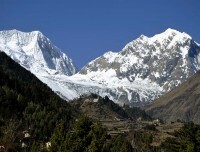 The Manaslu region began welcoming visitors in 1991, and since then this area is now become highly popular among nature lovers on a global scale. 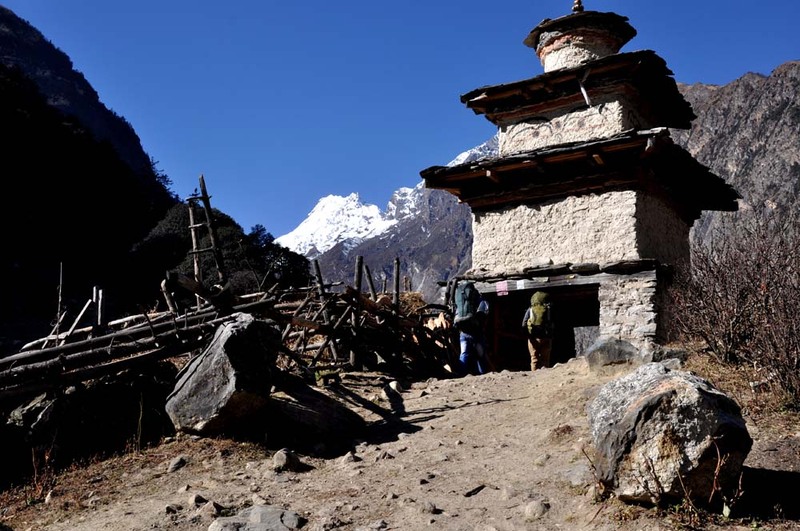 In addition to this, today Manaslu region is the best option to its neighbor Annapurna Circuit; offering a range of rich biodiversity, stunning scenery, amazing mountain views and heartwarming trails. We begin our trek from the pretty village of Soti Khola heading north towards the Buri Gandaki valley; clinging to the river sometimes along the valley. But there’s steeper climbing to higher elevations as the trail meanders along the ever sloping, forested gorge. As we get to alpine heights we soon come within view of majestic Mt. 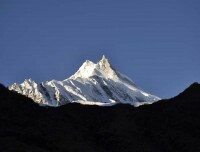 Manaslu at 8163m, the eight highest peak on earth. The sight leaves us breathless! The highest altitude we get to when trekking Manaslu Circuit is the ‘Larkya La Pass’ at 5213m/17,103ft; a pass well known for its physical features throughout the Himalayas. Similar to all Travel Maker South Asia trips, we make sure trekkers have enough time to acclimatize on this journey with rest stops to visit the picturesque Tibetan villages of Sama Gaon and Samdo on the way. 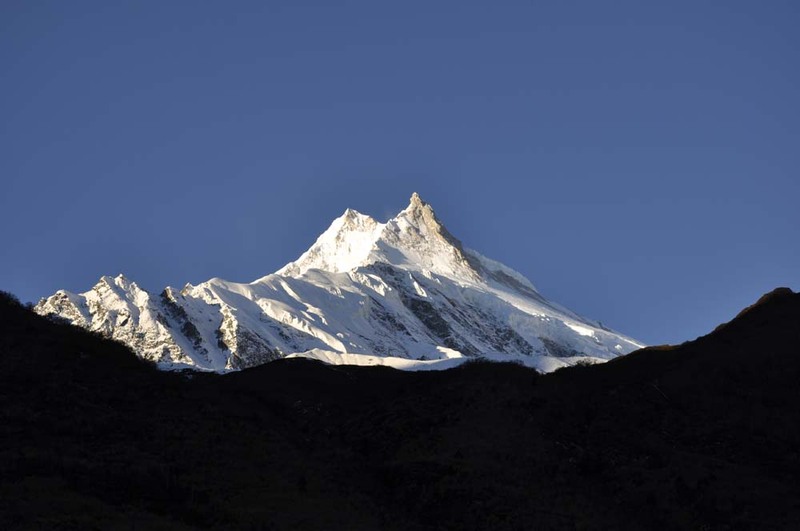 Manaslu is rich in cultural diversity and its extraordinary scenery with the fascinating flora and fauna all combine to make this region a hot destination for nature lovers in the near future. This region is a restricted zone and special permits get you entry. 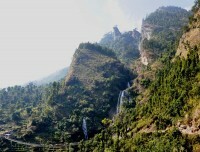 Equally, only organized trips are allowed in this area of Nepal. Furthermore, teahouse lodges in the Manaslu region are pretty basic but cosy enough to keep you warm. Much of the trekking on Manaslu Circuit goes above 3000m and good body fitness is required; nevertheless, unique cultural diversity and jaw dropping scenery keeps you thrilled throughout the odyssey. Day 04:Jagat - Deng [1,804m/5917 ft]: 6 - 7 hrs our hike today begins by climbing over a rocky ridge to Salleri, after which we descend to Sirdibas. The valley widens a bit as the trail continues up to Ghatta Khola. 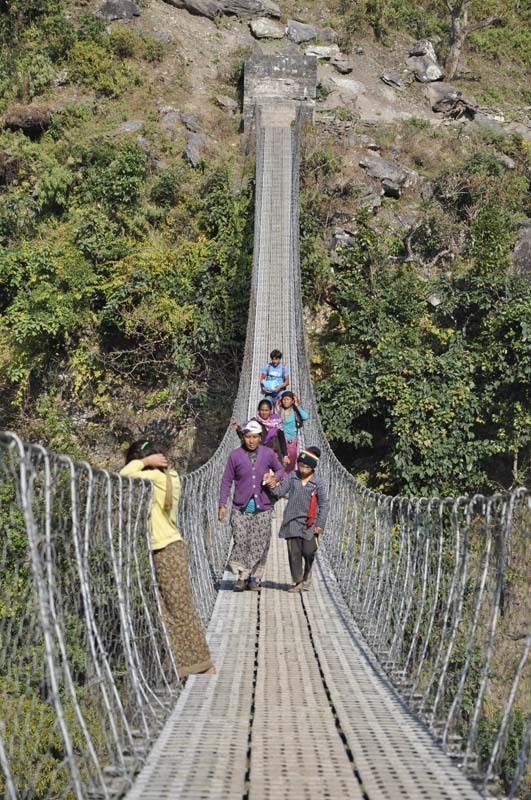 We further continue walking upstream to a long suspension bridge in Philim, a large Gurung village. The trail turns north just above the lowest house in the village and stays on a fairly level trail as it crosses millet fields to Ekle Bhatti. The route now enters a steep, uninhabited gorge. At this point, we descend to the grassy land slopes, cross the Budhi Gandaki, then trek along the west bank for a while, then cross to the east bank and then back again. As we continue through the trail the valley widens and we pass through bamboo forests to the Deng Khola. Day 06:Namrung – Samagaon [3530m/11,578 ft]: 6-7 hours Namrung village offers a great viewpoint for Siring and Ganesh Himal and from the village one can also see Mt. Himal Chuli in the south. Following the lateral moraine of Pungen Glacier towards Sama, we reach the village and it takes a further 20 minutes to reach the monastery. There are excellent views of Manaslu from here. In the afternoon, there are a number of possible walks to help your acclimatisation. There’s a monastery located on a ridge south of Sama Gaon. Today’s walk concludes in Samagaon where we spend the night. All ground transportation from Kathmandu to trek point and to kathmandu by local bus.